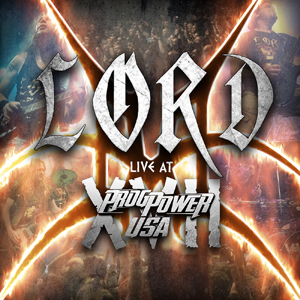 In late 2016, LORD was invited to play the prestigious ProgPower USA festival in Atlanta, Georgia. This show was professionally filmed and recorded and now it’s available to download or stream. The epic live performance by LORD will be released digitally and available for physical pre-order on Monday, 4 December 2017. The CD will be available/delivered on Monday, 5 February 2018. Video stream/download and audio download/CD Pre-order available December 4 from lord.net.au and dominusrecords.com. Concluded LT: “We hope you enjoy the show as much as we did playing it. As you’ll see, we had a great time on stage and the crowd were loud and proud and the true stars of the video!” LORD is essentially a continuation of DUNGEON, one of Australia’s longest running melodic metal acts. The band has a long history of international touring with the likes of QUEENSRYCHE, HELLOWEEN, SAXON, ICED EARTH and b>NIGHTWISH just to name a few, and a large back-catalogue of music both under the LORD and DUNGEON banners. A new LORD studio album is due to be released in 2018.